Bethesda Softworks has filed suit against Interplay, the company it purchased rights to the Fallout franchise from in 2007, citing trademark infringement and attempting to terminate its right to make a Fallout-themed MMO. The details of that case come from a complaint filed in the District Court of Maryland earlier this week. 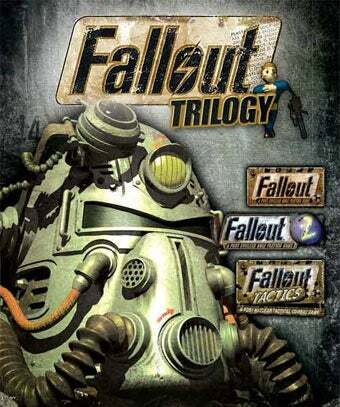 That complaint alleges that Interplay did not seek approval for the sale of the Fallout Trilogy bundle, which features the original Fallout, Fallout 2 and Fallout Tactics. Bethesda claims that the title Fallout Trilogy is "confusingly similar" to that of Fallout 3 and takes issue with Interplay's marketing, sale and distribution of other Fallout packages named Fallout Collection and Saga Fallout. Bethesda also takes issue with Interplay's licensing of Fallout games to digital distribution services Good Old Games (GOG), GameTap and Steam, which Interplay was said never to have sought approval or permission for. Basically, Bethesda takes issue with pretty much everything Interplay seems to be doing with the pre-Fallout 3 releases, believing they cannibalize sales of Fallout 3. The Fallout 3 developer furthermore wants to officially terminate Interplay's rights to create a massively multiplayer online game with the Fallout license. Bethesda believes that Interplay has breached its trademark licensing agreement by failing to enter into full-scale development of a Fallout MMO. Bethesda threatened legal action over the Fallout MMO earlier this year, claiming that Interplay was slow to develop such a game and had failed to secure the proper funding for the game code-named "Project V13." Bethesda To Take Action Against Interplay Over Fallout MMO? In short, it appears that Bethesda wants Interplay to stop selling the Fallout Trilogy and pay up any profits it made selling the trademark infringing games. Bethesda purchased the rights to the Fallout property for $5.75 million.